Recall that yesterday, the Lagos Division of the Court of Appeal ruled that the Economic and Financial Crimes Commission, EFCC does not have powers to investigate or prosecute serving judicial officers except where such officers have been dismissed by the National Judicial Council. 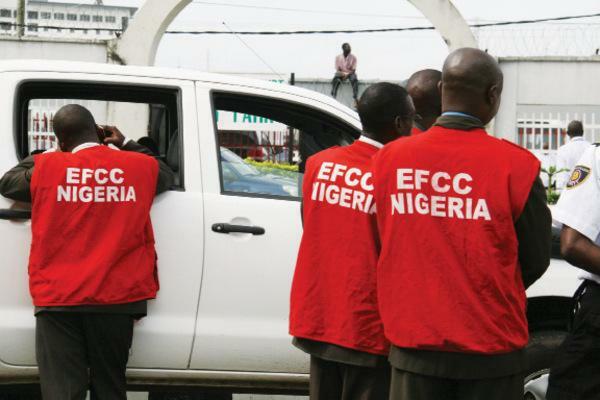 EFCC in a statement yesterday stated that they have set in motion an appeal for the capricious ruling issued by Lagos State Appeal Court. 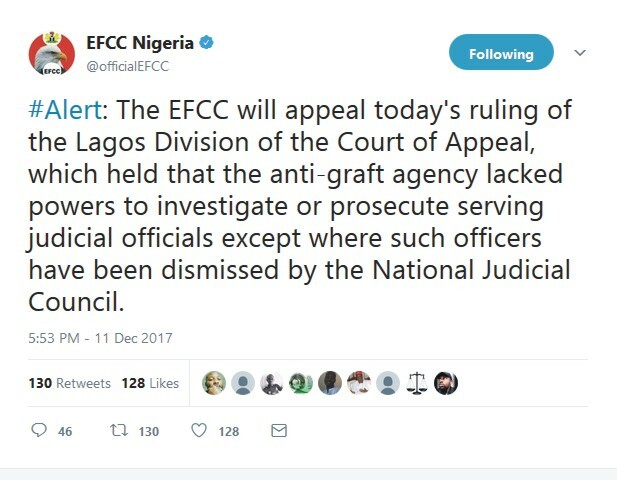 The EFCC will appeal today's ruling of the Lagos Division of the Court of Appeal, which held that the anti-graft agency lacked powers to investigate or prosecute serving judicial officials except where such officers have been dismissed by the National Judicial Council.